Curiosity is the starting point for each piece: what happens to x when you do y? This impulse is often sparked by everyday materials and results in a one-off creation. Occasionally, Eline combines multiple parts into an integral whole. Her pursuit of form and shape is mainly a manual process, rolling with what works and learning from what doesn’t, until a definitive direction emerges. Except using gold this working method is informed by fluidity, forgoing fixed ideas, techniques or materials. 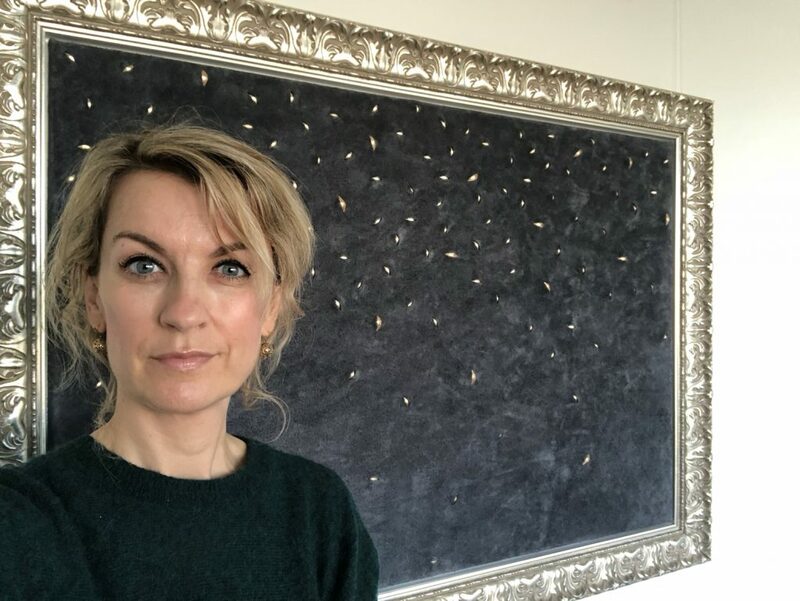 Born in Harderwijk in 1974, Eline shelved a promising career as a young entrepreneur to seek meaning in contemplation and ultimately finding this in creation. After trying her hand at media production, the rush of working with images stirred her passion to pursue this autonomously. To this end, she decided to become an artist in late 2016. The objects are exclusive, unique, professionally framed and individually registered with the Benelux Office for Intellectual Property (BOIP). Click buttons on this site to follow her work on social media.